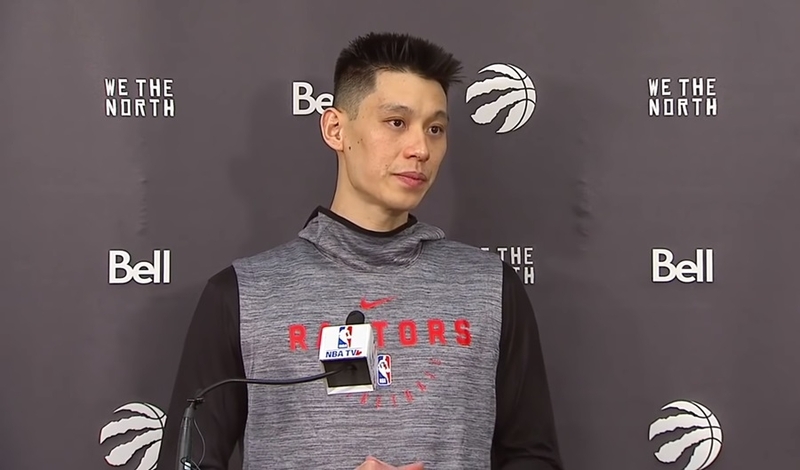 Jeremy Lin is currently buzzing in the NBA sphere at the moment as he led the Toronto Raptors into a decisive victory against the New York Knicks 128-92. Nicknamed Linsanity, the 30-year-old guard managed to score 20 points off the bench, 13 of which came in the fourth quarter alone. Jeremy Lin taking over the game came after Kyle Lowry suffered an ankle injury 5:15 into the third. “It’s pretty sore, it’s tender right now. I watched the clip. I think it was a little bit dirty. He grabbed me and pulled me down but he’s a young kid … I know he didn’t think he was going to hurt me; I think he was trying to stop the play,” Lowry commented. Fortunately, the other Raptors made sure that Lowry’s effort wasn’t in vain, stopping any effort from the Knicks who was trying to claw their way out of the hole they found themselves in. Apart from Jeremy Lin, seven other players managed to score double-digit by the end of the match. Powell had 10, Marc Gasol got 12, Green and Vanvleet both got 13, Anunoby scored 14, Lowry sunk 15, and Siakam drained 19. While winning against the Knicks isn’t exactly cause for celebration, the victory was impressive all the same given how spread out the scores were. This is another testament how deep and versatile the Raptors’ roster is, which will play a crucial role in their attempt in winning a title this coming playoff. The combination of Kawhi and Lowry as a starter, and Gasol and Lin as the second unit, is undoubtedly among the best weapons in the team’s arsenal. Add the fact that Siakam, Ibaka, VanVleet, Green, and Anunoby will be adding their prowess into the roster and the Raptors are looking like a championship contender this year. As for Lowry, it seems that the injury isn’t all that serious. However, it’s likely that the guard will miss a few games in the coming weeks as he tries to fully recover from this recent mishap. Until then, VanVleet and Jeremy Lin will be filling Lowry’s shoes until such time that the 32-year-old returns on the court.